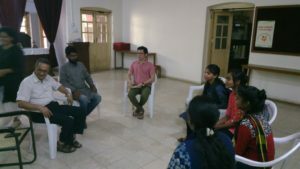 As her commitment towards building ecumenism, the National Council of Churches in India (NCCI) through Youth Concerns has produced various young ecumenical leaders in both national and international levels over few decades. 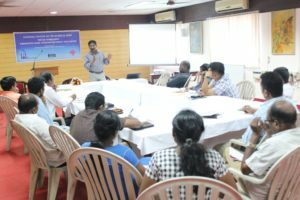 In continuing the vision of witnessing in forming young ecumenical leaders, the School of Ecumenical Leadership Formation for Indian Youth (SELFIY) was organized by the Youth Concerns of NCCI from 11th – 25th October 2018 at the NCCI Campus, Nagpur. 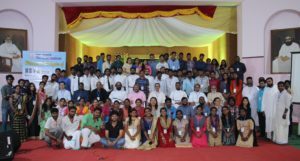 The programme aimed at enhancing the prophetic Indian young minds so that the Indian Church and society at large may bear witness to ecumenism in a much more organic and tangible way. This year we focused on youth members from North and Central India. The proceeding SELFIY will emphasis on the young people from South and North East India. 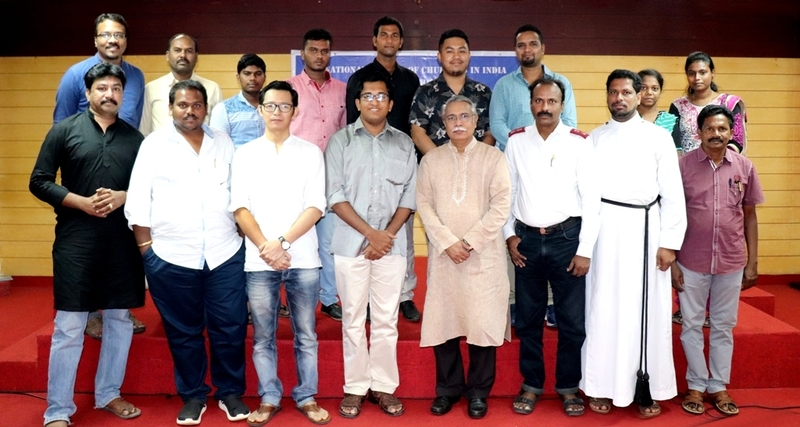 The National Council of India (NCCI) – Youth Concerns in collaboration with the Church of South India (CSI) organised a two-day programme on the theme “Promoting Good Citizenry: Building Secularism” on 4-5 May 2018 at the CSI Synod Center, Chennai, focusing on the rise of intolerance, promotion of individual responsibility, and building secularism in the country especially among the youth. Mr. Liju Kuriokose, Youth Vice President, NCCI delivered the welcome address. In his address, he expressed disappointment that the world is getting conservative and exclusive; however youth have the capacity to rise above the situation and to challenge the world to strive for change. Youth need to be prophetic which is beyond foretelling; rather they should be engaged in forth-telling, reforming the situation and being responsible to the future generations to come. Rev. 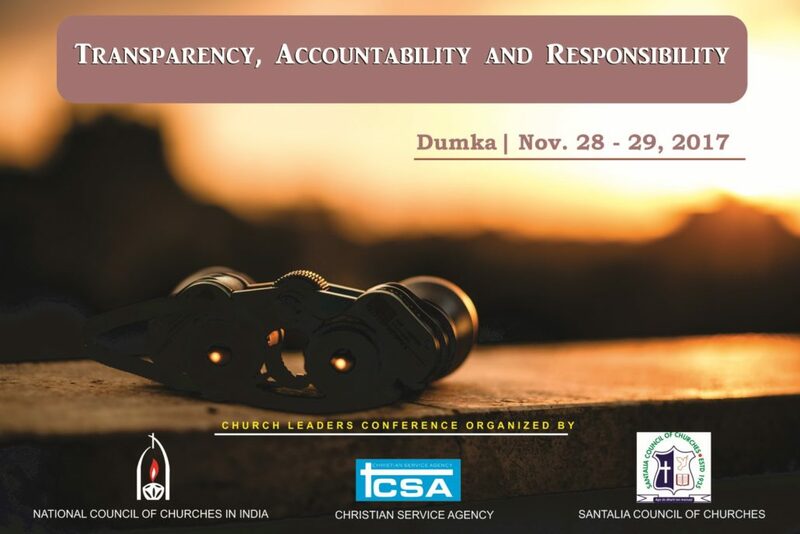 Dr. D. Rathnakara Sadananda, General Secretary, CSI and the Vice President, NCCI, brought the keynote address on the main theme “Promoting Good Citizenry: Building Secularism”. Questioning the notion of India as a nation where minorities live under the threat of majority and where the country is under a monolithic majority, he asserted that India is a nation of minorities. 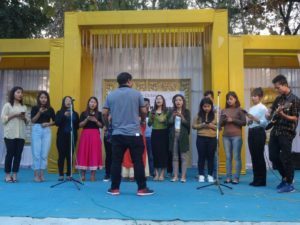 Whereas people look at secularism as a threat to Christianity in the West, there is a distinctive positive understanding of secularism in India. Referring to the concept of Sarva Dharma Sambhav (a Hindu concept which asserts that all Dharmas (truths) are equal to or harmonious with each other. ), he observed that Hinduism – basically a caste-based religion, is now being promoted by right wing elements as an all-embracing religion. 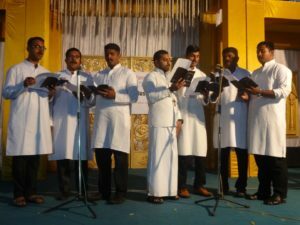 Therefore Dr. Sadananda asserted that Christians have to be vigilant and should be ready to become a community of hope for all. The theology of prayer is not a prayer to God alone but a prayer with commitment to action. He reaffirmed that the Christian community needs to rethink its being. The Church should never become the majority; it is called to be a minority, to be the salt of the earth. Church should join the choirs of life, a choir that empowers and enriches. He concluded with a challenge to the young people to become the choir that makes a choir of minority. Rev. Asir Ebenezer, Director, CSI-SEVA, deliberated on the theme “Rise of Intolerance: A Threat to Indian Secularism – Socio-Political Perspectives.” He admitted that a citizen can be of any religion; however the state should be a-religious, being equidistant from all religions and instead focus on all its citizens. Secularism is fundamentally proactive and progressive, encouraging people not only to tolerate one another but also to live in love and friendship. Rev. Ebenezer added that intolerance is non-juxtaposed to secularism, and it distorts the values and principles of the constitution. Concurrently, a minority community cannot practice selective secularism and secular sectarianism. Intolerance should be checked when churches are engaged in the proclamation of the gospel. Power to fight for secularism comes from our status as rightful citizens under the constitution, and not as having a minority status. Therefore he urged the young people to fight for secularism from the Indian citizenship platform. Dr. Christopher S. Baskeran, Associate Director – Church Relations & Interfaith Engagement, World Vision India, reflected on the notion of justice and social transformation under the topic “Justice and Social Transformation – Marginalised Perspectives.” Drawing inspiration from Plato’s Republic (c. 380 BCE), he talked about justice as the quality of being fair and reasonable; theory and practice of administering fairness; and justice as being drawn from law. Dr. Baskeran maintained that social transformation implies a fundamental change in society. In conclusion he asserted that the marginalised sections of the society should be acknowledged and should be given transformative justice (which is biblical), a justice of redemption and restoration, what would bear witness to social transformation. Rev. Solomon Paul, Youth Director, CSI, led a Bible Study from Matthew 25:14-30 (Parable of Talents) highlighting the capitalistic approach, the unequal distribution of wealth, and the exercise of power and authority over the poor. The programme concluded with a vote of thanks and a prayer by Mr. Jianthaolung Gonmei, Executive Secretary, NCCI-Youth Concerns and Fr. John C Matthew respectively. 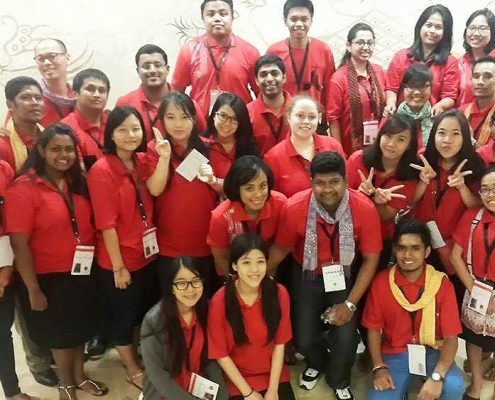 The 2nd Young Ambassadors of Peace in Asia (YAPA) 2017, a week-long training programme, was organised by the Christian Conference of Asia (CCA) from 28th May to 3rd June at Payap University at Chiang Mai, Thailand. 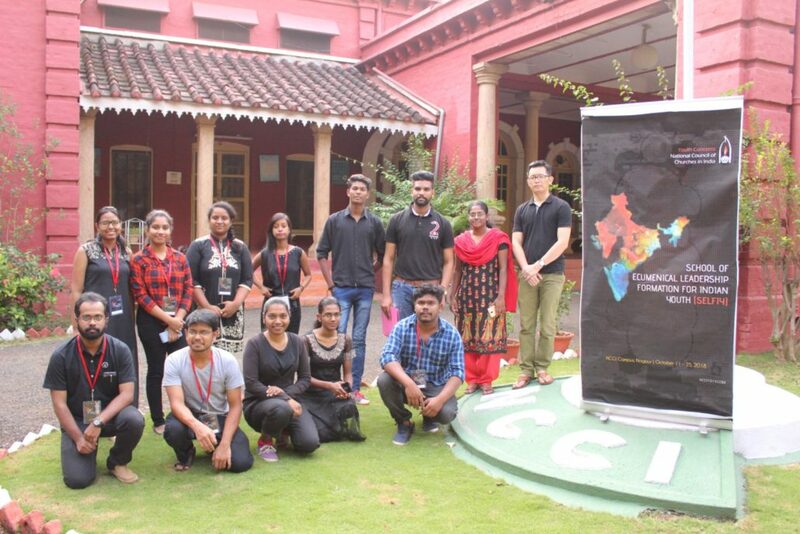 YAPA training programme sought to facilitate the role of young people as ambassadors of change in peacebuilding processes, and to build a network of young peacebuilders in Asia bridging the missing links in promoting peace in society. 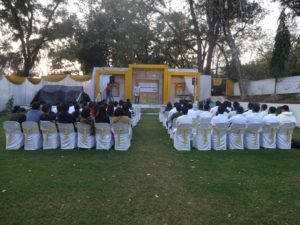 The training programme consisted of interactive sessions on non-violence and peace with justice through theological foundations of peace from various religious perspectives, skill development to peace implementation programmes at the grassroots level. The programme further buoyed up the young people to be peace makers not among humans alone but within the whole creation commencing from one’s own inner self. 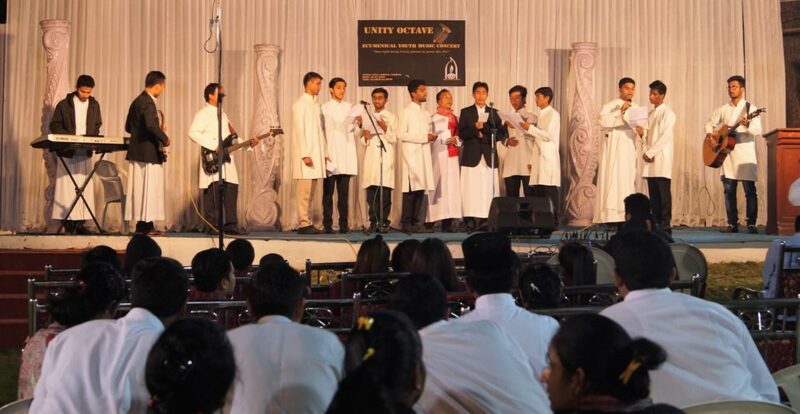 25 young participants from various Asian countries – Bangladesh, Indonesia, India, Myanmar, New Zealand, Pakistan, Philippines, South Korea, Sri Lanka, Taiwan and Thailand – with representatives from the Buddhist, Hindu and Muslim communities who are committed to promoting interfaith collaboration in peacebuilding and conflict resolution participated in the programme.